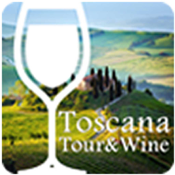 Discover the wonders of Tuscany and the great variety of activities for lovers of food and wine tourism. Search places of interest, events, accomodation and, above all, the best places for tasting the local wines. Browse the 22 Roads of the Federation of Wine, Olive Oil and Tuscan Flavours Roads, and taste the traditional products of this wonderful region.